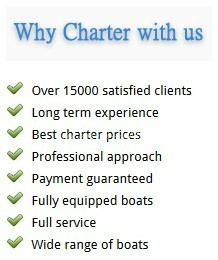 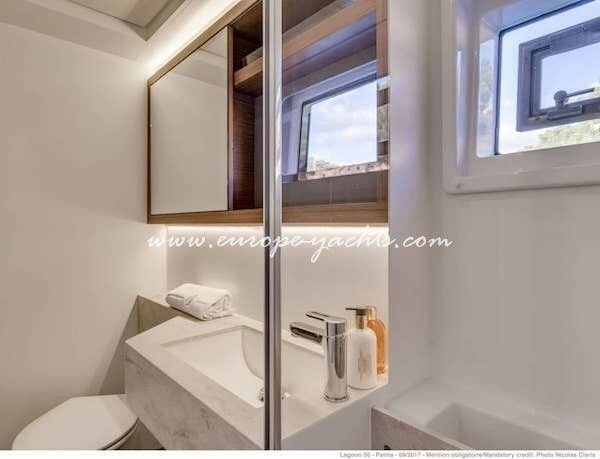 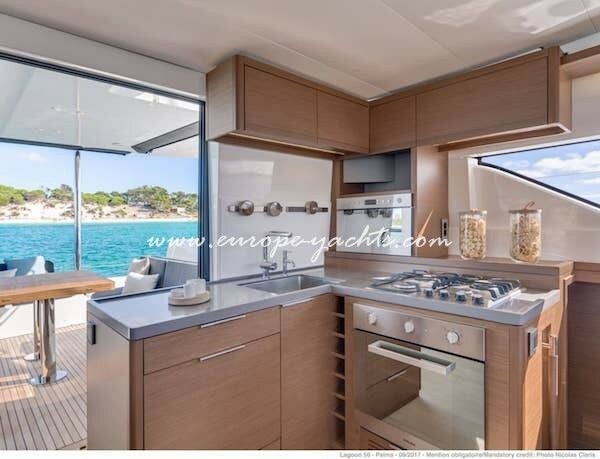 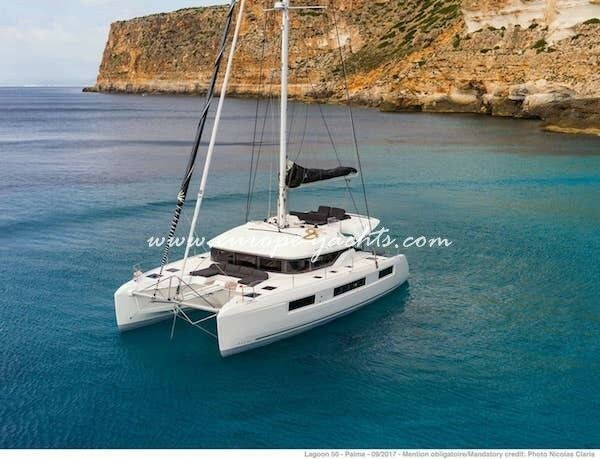 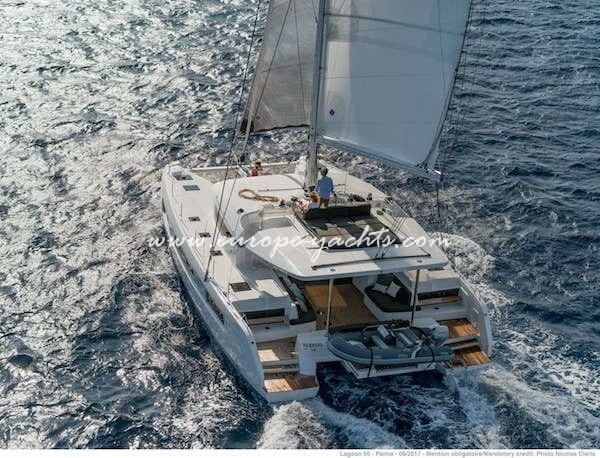 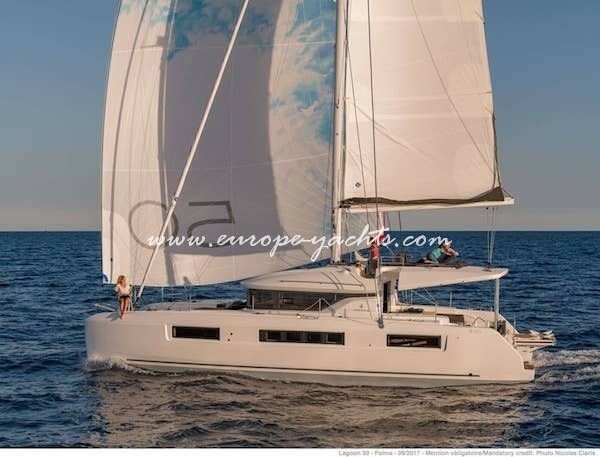 Charter catamaran Lagoon 50 joins Catamaran Charter Greece fleet in Greece! 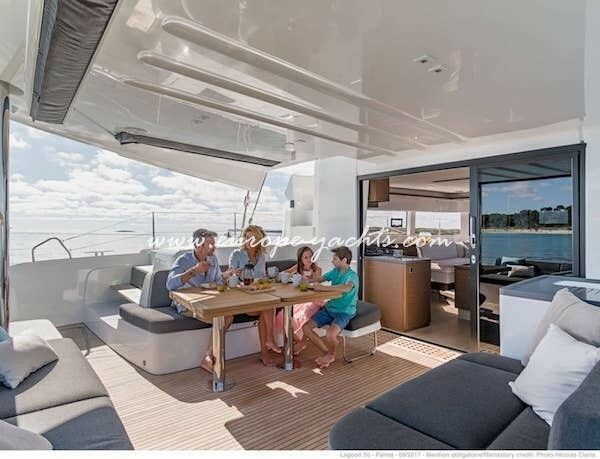 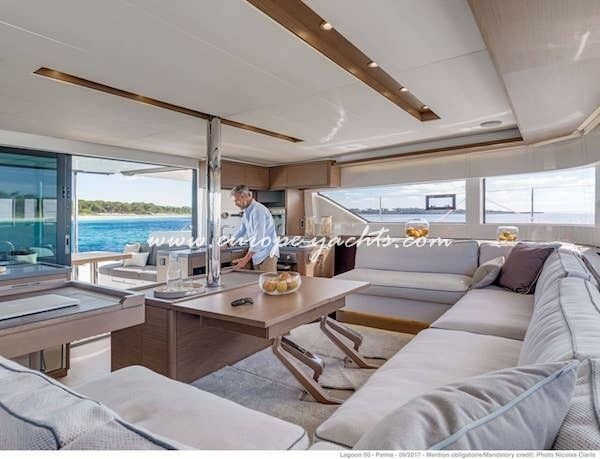 The new Lagoon 50 is the perfect compromise between the emblematic 450 model and the 52. 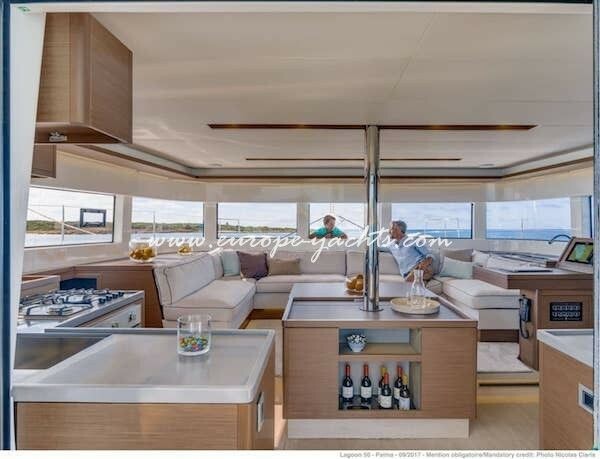 She offers an attractive option to navigators in search of a large “seaworthy and modern” owner’s boat. 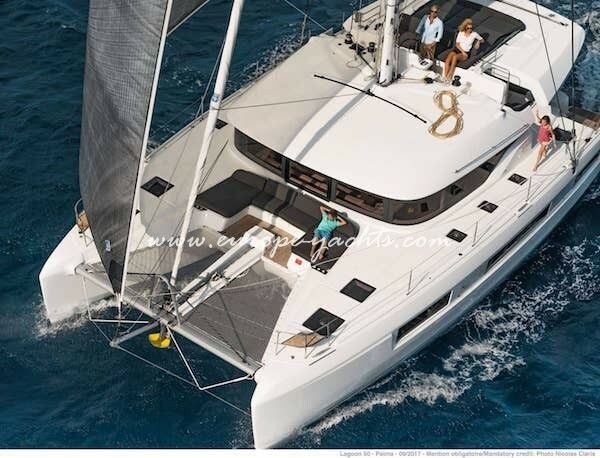 With her new visual identity, rigging and hull design, she provides increased performance, comprising a unique brand signature. 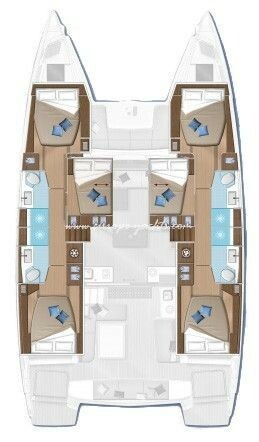 Indeed, the 50’s elegance seduces thanks to the beveled shape of her hulls, generous volumes and panoramic views, more than ever enhanced. 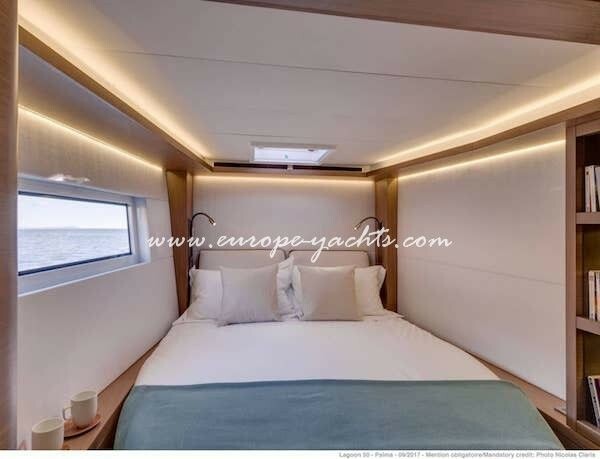 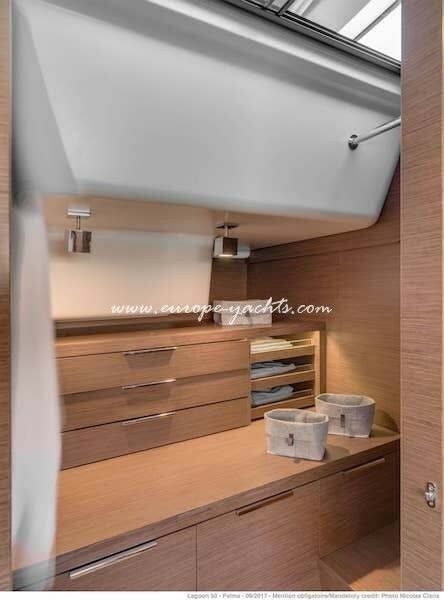 With unparalleled accommodation possibilities, this new model is available in three, four or even… six cabins! 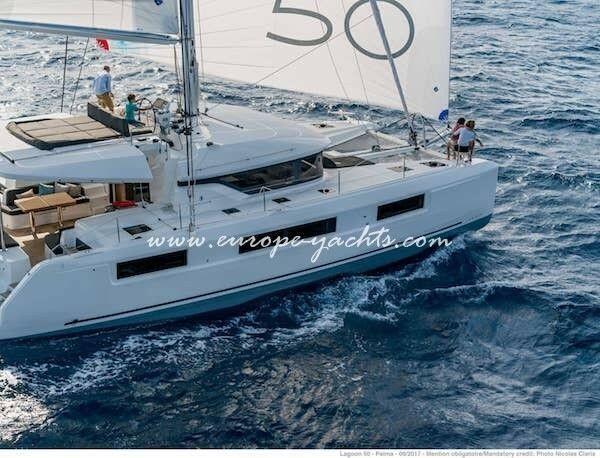 We are proud to announce that Lagoon 50 is now available for charter in Greecea with Catamaran Charter Greece from Athens and Lavrion. 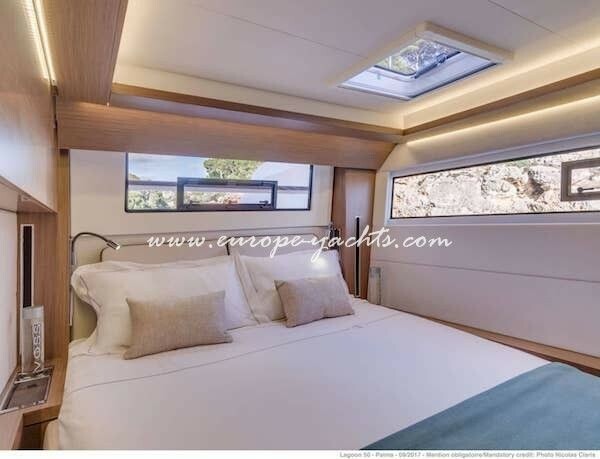 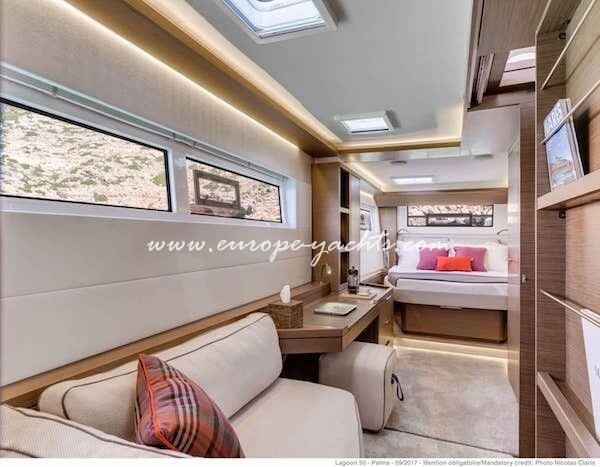 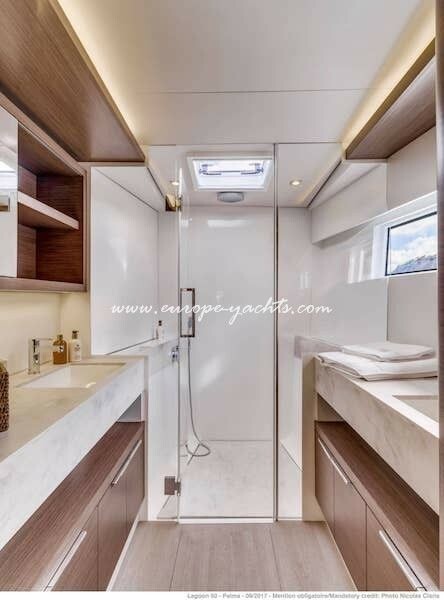 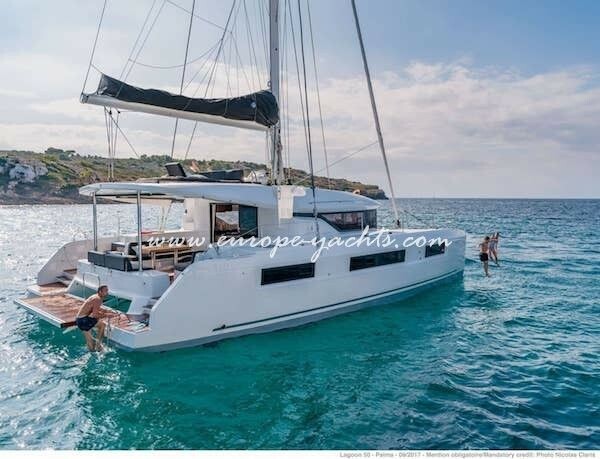 Available for catamaran skippered charter or with our professional crew this all new sailing yacht catamaran can be rented for one way charters to and from Mykonos as well as other famous islands like Santorini, Paros and other island in the Cyclades area. 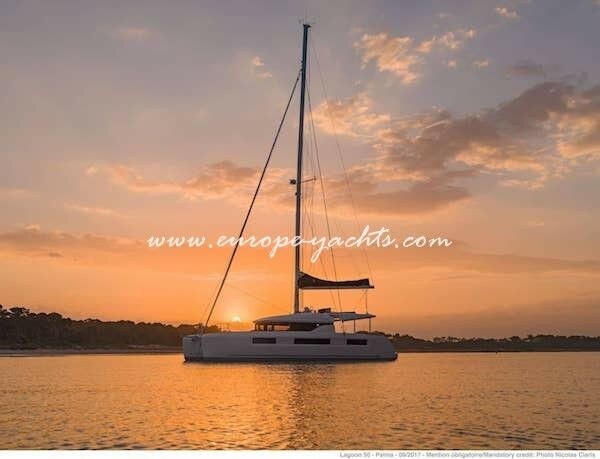 Send us na Inquiry right now to get a special discount on all our catamarans in the area. 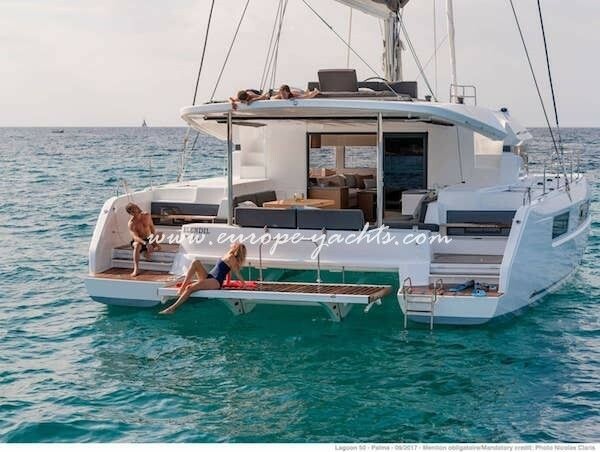 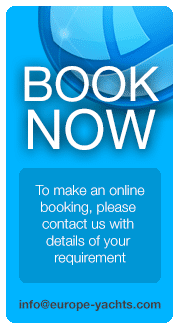 Charter catamaran Lagoon 50 for hire in Greece and let us organize an unforgettable journey along the Greek islands for your family and friends with our tailor made itinerary from Athens, Lefkas or Lavrion and also from other bases in Greece.